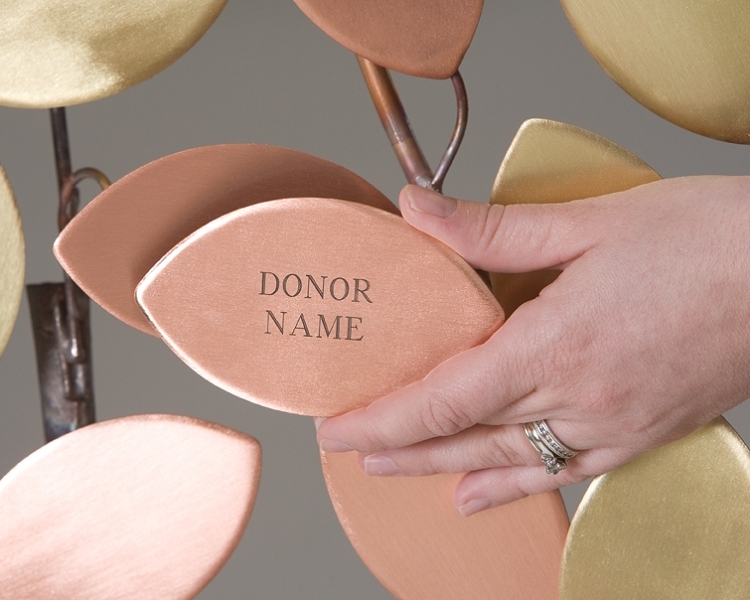 The Donor Tree can be customized to suit your organization. Non-profit organizations may wish to consider using the Legacy Tree as a fund-raising project, offering leaf overlays to contributors who wish to honor a relative or other recipient. For more information about the Legacy Tree, contact us at 828.397.3928.